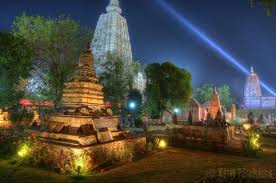 Here is Some information about Mahabodhi Temple in Bodhgaya Bihar India. Entry Fee :20 rupees for visitors and 25 rupees for meditators. 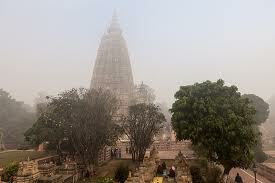 Mahabodhi Temple is one of the most revered Buddhist pilgrim destinations in India. 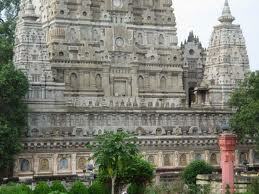 It is situated in Bodhgaya, which lies at a distance of approximately 96 km from Patna, the capital city of Bihar. 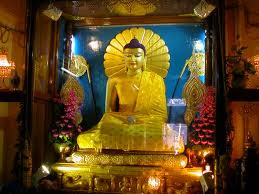 The temple was built on the site where Siddhartha Gautama attained enlightenment and became Lord Buddha. 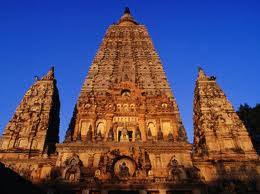 Thus, the name of the temple was kept as Mahabodhi temple, meaning 'Great Awakening' temple. The holy Bodhi tree under which the enlightenment of Lord Buddha took place is situated to the west of the temple. The Maha Bodhi Temple of Bodh Gaya was constructed in 250 BC, approximately 250 years after the Enlightenment of Lord Buddha. After embracing Buddhism, Emperor Ashoka visited Bodh Gaya with the purpose of building a monastery and shrine. 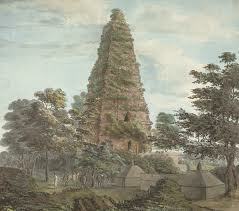 It is believed that it was the Emperor who laid the foundation of the Mahabodhi Temple of Bihar. He also built the diamond throne, known as the Vajrasana, in order to mark the exact spot where Lord Buddha attained enlightenment. With the early Islamic invasions, like the one by Muhammad bin Qasim, Buddhism started experiencing a decline in India. It was with the emergence of the Pala Empire in the northeast parts of the country that the religion again surged, with special emphasis on the Mahayana sect. With the defeat of Palas, Buddhism's position again started deteriorating. 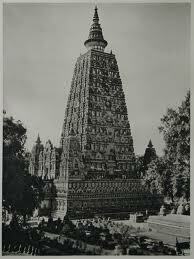 Around 12th century, Muslim armies invaded Bodh Gaya as well as the surrounding areas. 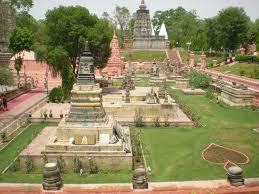 During this period, the Mahabodhi Temple experienced major disrepair and was almost left deserted. 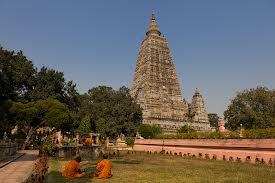 It was in the 16th century that a Hindu monastery was established near Bodh Gaya. With time, the monastery's abbot assumed the title to the surrounding land and claimed ownership of the Maha Bodhi Temple also. The decade of 1880s saw the revival of the temple, undertaken by the British government. Sir Alexander Cunningham supervised the restoration work. In the year 1949, the control of Mahabodhi temple was handed over to the state government of Bihar, which established a temple management committee for its maintenance. 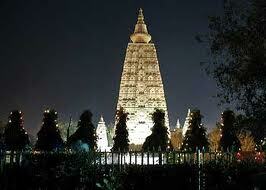 Mahabodhi Temple of Bodhgaya is one of the oldest surviving brick structures in eastern India. It is believed to be the perfect example of Indian brickwork and was a strong influence in the development of later architectural traditions. The temple rises to a height of 55 m. It is adorned with a huge central tower, which stands enclosed within four smaller towers. Stone railings, which are approximately two meters in height, are seen encircling the Maha Bodhi Temple of Bodh Gaya. The railings were built in two phases and have been built using two different materials. The earlier railings date back to somewhere around 150 BC and are made of sandstone. They are adorned with images like those of Lakshmi, the Goddess of Wealth, being bathed by elephants and Surya, the Sun God, riding a chariot drawn by four horses. The later ones were constructed in the Gupta period (300-600 AD) and are made up of unpolished coarse granite. They have figures of stupas (reliquary shrines), garudas (eagles) and lotus flowers. By Road :Bodhgaya is about 13 km from Gaya, 450 km west of Calcutta, and 90 km south of Patna, in Bihar. 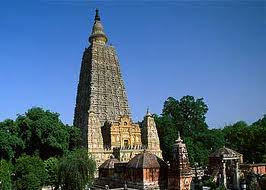 By Train: Gaya Junction Railway Station is the nearest railway station to reach Mahabodhi Temple, Bodhgaya. By Air:Gaya Airport, also known as Bodhgaya Airport, is just 5 km from Bodhgaya.